Have you heard of the 80 20 Rule? Maybe you know it as the Pareto Principle, Pareto Law, 80 20 Principle, the Principle of Least Efforts, or the Principle of Imbalance. No matter what you call it. Mastering the 80 20 Rule has the potential to exponentially improve the success of your online business and bring a new level of peace to your life by giving you the freedom and earnings you deserve. WOW!!! That seems to promise a lot, doesn’t it? Let’s start breaking this rule down. Vilfredo Pareto (1848-1923) was an Italian economist who observed that 80% of society’s wealth is produced and retained by 20% of the population. The 80 20 Rule is observed outside economics as well. It’s seen in all areas of life from agriculture to life insurance, from sales to the health industry, and so much more… Yep, even blogging! The 80 20 Rule put simply, 80% of your results come from 20% of your efforts. Do you have a massive amount of time to spend on creating a successful blog? NO? Yeah, me neither. Life is short. You want your blog to make money today and not years from now? Of course, you do! You deserve to have a profitable blog and wildly successful life. RIGHT? Answer “YES” here. 😀 You were made for greatness and I believe in each and every one of you! I want to see you achieve success in the shortest time possible! Don’t get me wrong. Blogging won’t make you rich overnight. People who’ve blogged for years may make a good living blogging or pretty much nothing. It’s hard work. 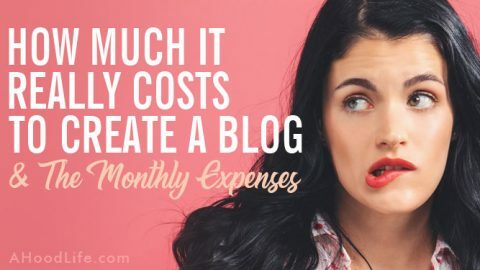 BUT don’t make blogging harder than it has to be. What Does the 80 20 Rule Mean for Bloggers? We get caught up with being busy which leads to feeling overworked, overwhelmed, emotionally drained, and generally helpless. The message the 80 20 Rule tells us that we can be more effective, happier and profitable by doing less. Not every hour of work is of equal value. Staying busy does not equate to extra income. Applying the 80 20 Rule allows us to work less and think more. One key insight of the principle is that being overly busy drives out thought. Hard working people are often too busy to identify what’s really important. We don’t want to miss out on the important opportunities or moments in life that really matter. Working too hard on the 80% comes at a cost we can’t afford. You only live once! Don’t waste it! When analyzing blogs we generally find the following to be true. 80% of results come from 20% of efforts. 80% of web traffic comes from 20% of your blog posts or pages. 80% of earnings come from 20% of your blog posts or pages. 80% of earnings come from 20% of your products or clients. 80% of the complaints come from 20% of your clients. 80% of leads come from 20% of your advertising budget. These percentages may vary. The ratio is often found to be higher or lower, 70/30, 80/20, 90/10, 95/5… The benchmark is 80/20. The main idea behind the 80 20 Rule is that small inputs are critical to producing the greatest outcomes in most areas of life. 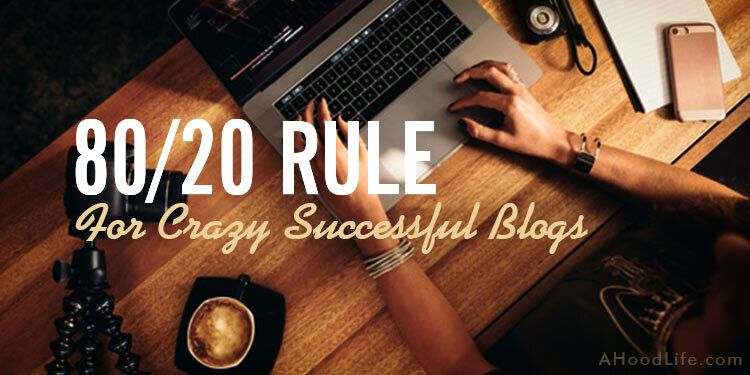 The 80 20 Rule is an essential concept to master as a blogger. Your goal is to identify and focus on the 20% of efforts that bring the greatest reward and not get to bogged down in the other 80%. Focusing on the 20% will go far in providing you greater profits and can even free up time. Knowing what to focus on will greatly increase your chances of success by improving your productivity and efficiency. Focus on the things that really matter while minimizing trivial activities. What provides you with the greatest reward, achievement, benefit, and joy and what yields dissatisfaction? Inputs that provide disfavorable results should not be used or used sparingly. Inputs that provide the greatest benefit are used as much as possible. Inferior inputs are reworked to mimic favorable inputs where possible. Resources are shifted from unproductive to productive uses. Example 1: Money spent on less productive advertising should be shifted to more profitable ads. Example 2: If 20% of your clients are bringing in 80% of your income. Drop those difficult clients and free up time! Initially, you’ll see a 20% drop in income, but with the additional time, you’ll more than recoup the income by catering more to your valued clients and acquiring more profitable clients. Example 3: Speak with your difficult clients. Effective communication may be your key to eliminating complaints and converting them into a desirable client. If they won’t change, stop working with them. Example 4: Rework low-quality blog posts. This will improve site loyalty and also improve Google’s opinion of your site. If for some reason you can’t rework the low-quality blog posts they should be deleted with a 410 header or no index these inferior posts. 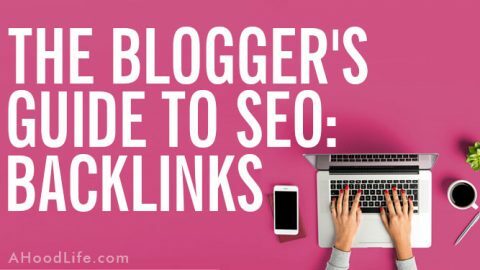 I use the Yoast SEO WordPress plugin to no index any post or page that I don’t want Google to index. Two great tools to 410 headers are the WordPress plugins Yoast SEO Premium and 410 for WordPress. Most of life is trivia. Don’t get bogged down in minutia. Avoid it. The goal is to identify the things that really matter to you. Those things that provide the greatest reward, achievement, benefit, and joy. They can be difficult to pinpoint but once identified they open the door to achieving more from less effort. This is the power of the 80 20 Rule unleashed! Most bloggers waste 80% of their time on unimportant tasks and even outright avoid the 20 percent that can make the biggest impact on success. Why? The 20% is often harder, so we tend to gravitate toward easy and busy 80%. Let’s break this down and see how the 80 20 Rule can be applied to you and your blog business. The key will be to identify where you’re wasting 80% of your efforts and divert focus to the 20% that is vital to the success of your blog. But how do we identify what is on the 80% and what’s in the 20% parts of the Pareto Principle? Stop reading and make a list of everything you do with your blog. 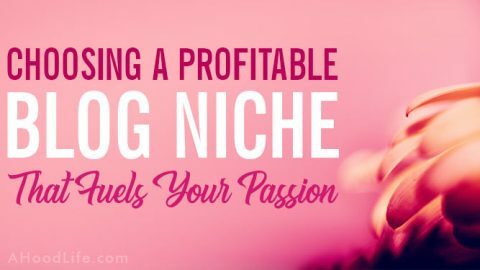 The list you come up may seem overwhelming and will vary depending on your blog and your monetization process. Do you have your list? If not, bookmark this page and come back. You’ll want to prioritize your list. Okay, those of you with your lists. I bet most of you are already able to see where you’re wasting time on trivial tasks. Where do you spend most of your time? Are you end goals enhanced by these activities? If you don’t have goals, get some fast an meditate on them daily! Your direction will determine your destination. How do you reach a destination if you don’t know where you are going? Let’s look at the general blogging activities that are part of blogging businesses. There are general activities regularly involved with running a blog site. Let’s categorize these general blogging activities using the 80 20 Rule. We have the vital 20% and the trivial 80%. Just because something doesn’t fall into the 20% doesn’t mean it’s not important. It means the task comes second to the accomplishment of the 20%. You may even find that tasks in the 80% can be automated or hired out to others. If you find you’re performing tasks that are completely worthless during your workday, eliminate them to keep your focus on the tasks that truly matter. Think about what you’re doing. Work smarter not harder. Some blog posts are more popular than others and some seem timeless. Others generate traffic for a short time and disappear into the vastness of the internet. The timeless posts are known as evergreen posts. They are far more likely to rank well on Google. I’ve had many evergreen posts rank in the top three search results for years. Focus your blog content writing efforts on evergreen posts whenever possible. Let’s think about content on the internet. The 80 20 Rule would imply that the top 20% of the content on the web brings in 80% of all traffic. It’s up to you to focus on this 20% when you’re creating content. It’s also best to pick a niche site that falls into this 20%. I’ve not only made the error of writing on subjects that fall into the 80%, but I’ve also created full blog sites that fell in the 80%. It is a complete waste of time and will never bring success. Do your research before you create your blog or write a post. The best blog content strategy is to emphatically know what readers want and create content that helps them meet their needs. Have you been posting for a while? Check your Google Analytics. What are your top posts? Are you happy with their ranking in Google Search? Are people engaging with these posts? Are these post making money? Then write more posts like these. Don’t like the statistics you see in Google Analytics? Then you need to adjust your approach. 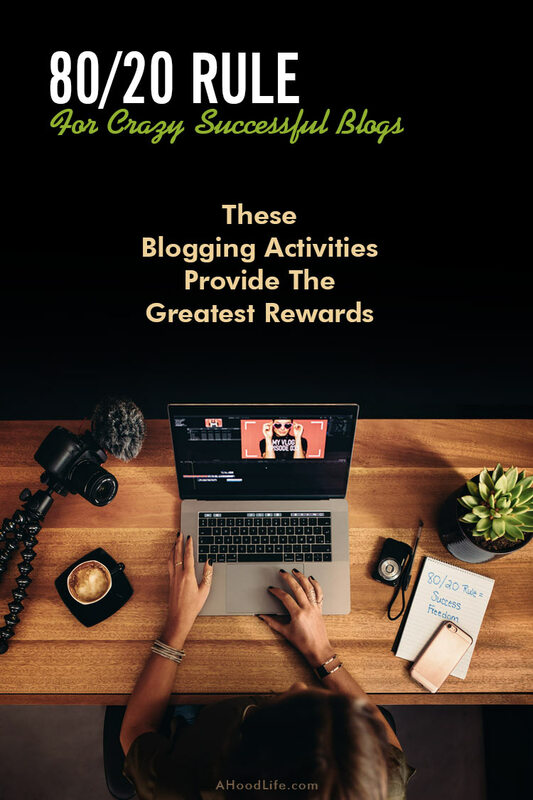 You can become a successful blogger by writing evergreen, high-quality, relevant, engaging blog posts that compete with the top 20% of content on your topic. Make your post quality infinitely better than your competition! It’s the only way to stand out from the crowd. It takes time, but you will thank yourself in the end. Maybe even with an amazing vacation to Fiji! Wouldn’t that be awesome?! Or maybe your goal is to pay off debt like my wife and I are doing. 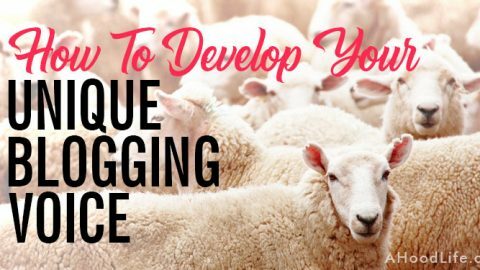 Writing a blog post falls into the 20% that will produce 80% of your success. Content is key to a successful blog. Makes sense right? Focus on your writing. I’m not saying to produce a new post every day. Please don’t! It’s almost impossible to publish a new post daily and also have stellar content. Daily posts likely mean that your content lacks in quality or other required aspects of your business are being neglected. Stellar blog content is needed to compete with other bloggers and to rank in Google. Focus on the 20% without neglecting required blogging activities in the 80% like blog promotion strategy. Your blog promotion strategy is extremely important to your success, but amazing blog content must come first. 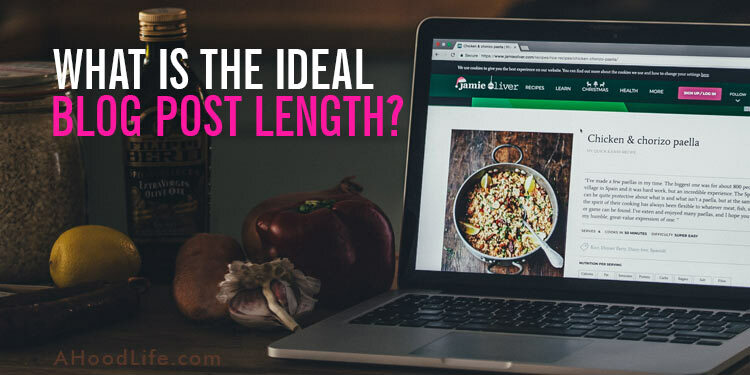 Does every part to creating a blog post carry equal weight? Nope. Not at all. A blog post is developed out of research and/or previously obtained knowledge. Most blog posts include text and graphics and may also include a video or podcast. Each task involved creates value but not equally. The value placed on these tasks may vary depending on the direction of your blogging business or maybe even one specific blog post. If your blog revolves around a podcast or you have a vlog, these tasks will be weighted differently. In these cases, the 20% task would be on the podcast or video. 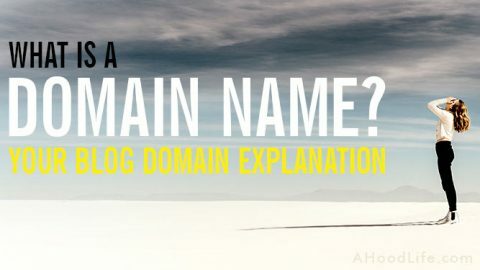 Let’s look at the parts to creating a blog post in greater depth. Though some bloggers do have ghostwriters, your post will likely need your voice. When writing a blog post, the text will be in the 20% and the graphics you use will usually fall into the 80% unless the graphics heavily support your post (i.e. charts and graphs that support your blog post). If the graphic is one you’re using to make your post aesthetically pleasing or for use on social media platforms, it falls into the 80%. Don’t ignore the creation of graphics just because they fall into the 80%. Having an aesthetically pleasing blog helps reduce your bounce rate and improve visitor retention. A bunch of text is boring. Keep your blog spiced up with relevant graphics. Looking to reduce the time you spend on graphics? Your graphics can be farmed out to someone else or you may want to speed things up by using an online graphic design tool like Canva. Research for your blog post also falls into the 80%. Many times we get bogged down in the research. It too can be farmed out to someone else. Now you may not be at the point where you can pay for someone to assist you in your blogging activities. When you get to this level of profitability, you may want to think about it. Till then get really focused when performing tasks in the 80%. Limit distractions. I thought about this one for a while and almost put it in the vital 20%. It is an essential part to blogging success. It can, however, be hired out or sped up through use of services or plugins like Yoast SEO. If you’re a blogger and not a vlogger or a podcast creator, video or podcast creation will fall into the 80%. If you have a vlog or podcast, the transcript you create from your video to accompany your post will fall into your 80%. Consider automating the creation of your transcript or hiring it out. Most activities we do can be broken down further to help us focus on the most important parts. Think about creating a video. Recording the video might fall into the 20% but editing would be the 80%. Product creation is similar to content. It’s also in the 20%. Product creation will include ebooks, tutorials courses, and the freebies. These improve your brand, build your email list, and generate revenue. Email falls in the 80%. The average person gets over 120 emails a day. What a waste of time! Unanswered email may cause anxiety for some but don’t be a people pleaser by answering email ASAP. This is unproductive and a sure path to failure. Unsubscribe from as many emails as possible. Turn off all auto check functions on email applications. Email notifications are a distraction. Email notifications pressure us to see what’s been sent and knowing there’s unanswered will likely create anxiety. While you are at it, notifications from any application on your computer, phone, tablet, or other should always be turned off during working hours. Don’t let these devices control you. Use technology to your advantage. Don’t let technology rule you! It will destroy your productivity and profitability. Do not respond to an email unless it’s absolutely necessary. If you respond, you are likely to get another email back. End the cycle whenever possible. Do not let email control you. Only check email at specific times. Stopping a task to answer an email is an inefficient use of time. Never check email in the morning! Never ever! This will place you on a path of working for others all day and those pesky back and forth emails. You and your vital tasks in the 20% take priority over emails and the tasks others ask of you within. Blog comments, social media messages, text, phone, voicemail and all other forms of communication are in the 80% and are rarely vital to the success of a blog site. Responding to blog comments, social media messages and all other messages should be treated in the same way email is handled above. Do not let these control you. Consider setting your phone on the do not disturb setting. If you need to be able to get a call from family or other, you can make exceptions for them in your settings. Do you want to make money blogging? Then don’t get sucked into seeing what others are doing on any social media platform and don’t check out those pins on Pinterest. Use social media as a business tool. Promote your blog and don’t let it waste time. Wasting time on social media doesn’t fall into the 20 or the 80. It’s not work! Social media can be a major distraction from work and the enjoyment of life. Social media promotion most definitely falls into the 80%. Social media is a tool to exploit for business. Do not let it export your time. Maintain extremely strong focus when on social media. I lump Pinterest into the social media category even though it’s more of a search tool. When looking at the social media landscape which service provides the best results? Don’t know? Check out your Google Analytics and find out. For me, Pinterest provides slightly over 80% of all traffic from social media though I spend relatively little time on Pinterest, only a few hours a week. How? I automate my Pinterest pins with Tailwind. Tailwind has been a huge time saver. 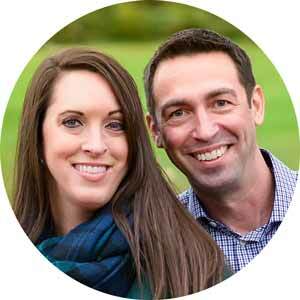 If you use Pinterest, Tailwind is a must. Tailwind has freed up countless hours of my time, allowed me to auto-pin at more strategic times of the day, and has increased my click-through-rate by roughly 200% over manual pinning. Tailwind frees up time so I can focus on what really matters. Google analytics is the best place to start for measuring performance and improving the results of your online business. It provides a vast amount of information in a friendly, easy-to-use format that will help you identify the vital 20%. Google Analytics is a free and invaluable tool every blogger should use. If you don’t use Google Analytics, you should! It’s really easy to set up on your site. How can Google Analytics help you identify your vital 20%? Check out this out! See which posts and pages comprise your top content. Identify which posts and pages are performing worst. Figure out which location provides your best website traffic. Discover what visitors are searching for on your website. Determine what visitors are clicking on most. Establish which online marketing campaign brings the highest traffic and conversions. Learn which affiliate programs or affiliate links perform best. Which affiliate programs or affiliate links perform worst. Find out which social media platforms bring in the most web traffic. Uncover which referral sources bring in the most traffic. Ascertain exactly where visitors abandon your shopping cart if you have one. Google Analytics is one of the best problem-solving tools you have as a blogger. Understand your website data to improve your focus, but don’t waste time by overloading yourself with data or over checking data on a daily basis. Viewing the results of your hard work can be exciting, but it can also be a time waste when abused. When you find yourself wasting time, it’s time to renew focus. Distractions would be anything that slows you from the vital 20% and any necessary activities you must personally perform in the trivial 80%. Some activities in your 80% are unnecessary and should be eliminated entirely, others you must do but should take a back seat to any tasks in the vital 20%, and others can be delegated by hiring out the tasks or through automation. Example 1: I view post promotion as part of the 80%. It is something you as a blogger must do. Just because something falls into the 80% doesn’t mean you avoid it. 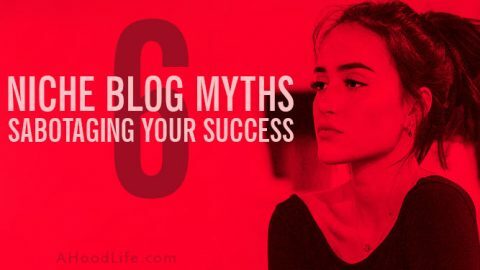 Much of the 80% is required for a successful blog. It’s knowing where your main focus should be that matters. If you’re the writer of your blog, you must write, but you could always seek help to promote your blog. Example 2: Getting distracted by social media is an activity that should be eliminated entirely. Knowing what a family member, friend or ex are up to does not further your efforts. Example 3: Automation tools like Tailwind can be used at minimal expense to free up time. It’s easier to set up apps to auto post for you than to manually post to social media. Example 4: Hiring others to do certain jobs like site maintenance, research for articles or business activities like accounting may be an option to free up time spent on the 80%. Using the 80 20 Rule to prioritize your activities, will help you focus on what counts while enhancing your productivity. Continue to weigh your results and improve your performance. Do not recreate the wheel when you’re starting your blogging business. Model what you do after someone who has achieved the level of success to which you aspire. You will achieve the same level of success by doing the same thing they do. 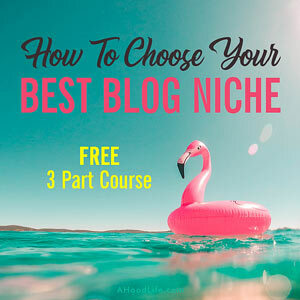 When other trusted blogging experts provide resources they recommend, learn from these! Don’t go out an test the available options only to come to the same conclusion. Skip forward by learning from others in all areas of life. Mimic the successful, find mentors, ask questions, and learn from the mistakes of others. By doing so you will adjust your focus without having to experience the trials and errors. You’ll save you time and money by following the leaders. I have suffered loss of time and money when I’ve not followed this rule. If you don’t have peers and mentors that are genuine and warm individuals, reach out to others. Which influencers impact you? Do you following and feel a resonance with anyone else online? You might be surprised by the connections you can make. I once emailed Pat Flynn about a problem I was having. It’s not likely he would ever remember me. Imagine how many people he interacts with on a daily basis. He is a master in the online industry that I genuinely respect. Why do I have great admiration for Pat Flynn? Mainly his response to me. I was frustrated at the time and I’m sure my email reflected that. What did Pat do? He was gracious and helpful in guiding me to a successful outcome. A truly nice guy. If you don’t follow Pat, you should! He has a wealth of knowledge and he’s fun too! What was the main thing Pat taught me that day? It is important to regularly come back to the 80 20 Rule. Do you tend to drift toward busyness? I know I do. I’m always taking on some new activity. Unfortunately, our culture tends to put great value on staying busy. Work to stay on top of your inefficiencies. Eliminate or convert inefficiencies you or your blog have into strengths. Pay attention to your strengths in order to multiply the advantage they provide. Increase focus on what’s already working for you by investing more time or money. Use Google Analytics to help determine your focus and adjust as needed over time. You want constant never ending improvement in your blogging business and life! Remember, most things are trivia and are of no benefit. Slowing down and thinking through your blogging business and life can provide you insight into what’s really important. You too can be more effective, happier, and profitable by doing less. Steve, this post is so impressive and insightful! I love it! I completely agree with you in the sense that being busy does not equate to you being productive and earning income. I first read about this in Tim Ferriss’ book, “The Four Hour Work Week.” My life has drastically changed after implementing this. Thank you for the reminder again! Hey Disha! Wasn’t Tim Ferris‘ book great?! It got me thinking about ways I could improve the way I work. I bet there’re creative ways to apply the 80 20 rule to travel that I’ve never thought of. Looking forward to seeing where your travels lead you next! Save travels! Excellent share, Steve. 80/20 rule is indeed powerful and I have had good success with it. Thanks for detailed explanation. Thank you, Marius! So great that you’ve had success with applying the 80/20 Rule! Focusing on the vital 20% has greatly improved my business. Best wishes! Thank you for breaking down each area of blogging with specific examples of how the 80 20 rules apply. This made it easy to understand and applicable to me! Wow, this was a great in-depth post, Steve! I know I’ve pinned it previously and completely enjoyed reading it now. I was familiar with the 80 20 rule but your application of it to blogging was quite insightful for me. It made me think 😛 I also loved how you provided the list of 11 awesome statistics we should be checking in Google Analytics – I’ll be honest, I’m not good at checking my stats regularly! But I did discover lots of benefits of GA such as which social media platforms are working the best for me in terms of bringing the most traffic to my site, etc. Oh I also loved the Brian Tracy quote above – so true! Hello Amira! Thank you so much for reading and the wonderful comment! I had fun writing about the 80 20 rule of Blogging. Self-mastery and productivity, especially in business, fascinate me. Wow, very impressive in-depth article. Thank you for sharing this insight! Hey Mary! Thank you for taking the time to read my post on the 80/20 Rule of Blogging! Means a lot! Thanks Steve! I happened to read this at a time when I need it the most. It can be so easy to give into the temptations to just churn out content, but this was a great reminder of the importance of quality and promotion! Thank you, Kinsey! I wish I could get quality content out there faster too! I have so many post ideas and so little time. Focusing on the activities that count the most has really helped me find more balance. Hey Steve, I just found your post on Pinterest about finding your own voice. Then I come up to this post, reading the whole post because it resonated since the beginning. I’m pretty new to blogging, but I’ve been writing short stories since I was a kid as a hobby. 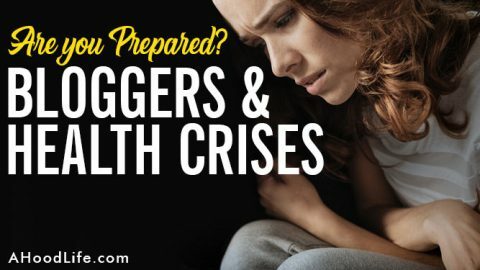 I never knew that blogging can be this challenging because the writer has to find a way to make the post resonates to the readers. And that’s a completely new thing to me. Thanks to you to help me figure out how to improve my blog-writing skill. I hope you have a great month! PS: Sorry about commenting in a different post. Thanks for sharing such an in depth post – really actionable tips. I love the 80:20 rule! Hello Claire! Thank you for stopping by and reading! 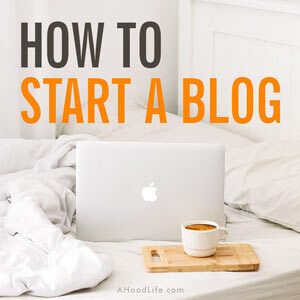 This post is just wow especially for someone like me who is so new to an entirely different world of blogging, I only wanted to write that’s why I launched a blog. I didn’t know it can get bigger than me and that my education and masters are not enough. Now I need to learn extra for it. Your article helped me a lot today. I have read 4 Hour Work Week and I am about to start Eat That Frog. I have added the other in my list of what to read next. Cheers to you and I will definitely read your other posts. Thank you, Dani! I’m glad the post was of help. I think you’ll like Eat That Frog. It’s a great one! What’s your blog about? Fantastic Post – Full of Great Tips! Thank you, Gary! Very kind of you to say so!